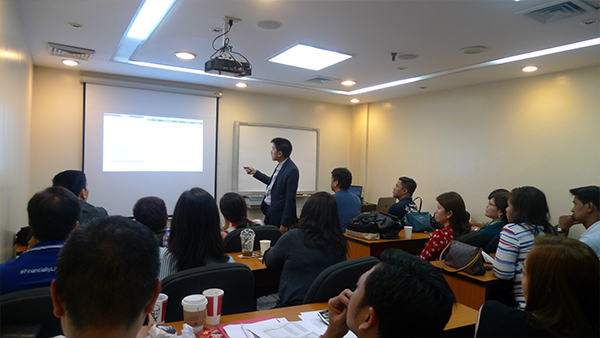 The Registered Financial Planner (RFP) Philippines facilitated another RFP Forum last June 27, 2016 at RFP Headquarters, Ortigas, Pasig City. The RFP Forum is conducted every after RFP review sessions for the graduating candidates to present their final papers then later on have their RFP license legitimized. RFP forums also serve as a time of consultation for other participants with ongoing papers. The forum started at 5pm after the participants’ office hours and ended at 10pm. The latest candidates who presented at the RFP Forum for the month of June were Al Jay Rhu Policarpio, Alex Aurelio, Dennis Manzarate and Joshua Emmanuel Bayabo. 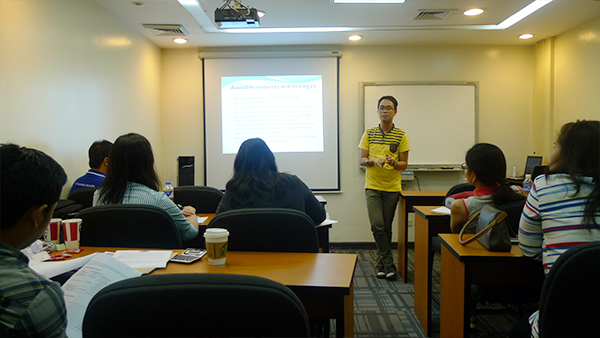 While the case papers presented are evaluated by RFP Members who served as the panelists of the session. The Forum was also attended by RFP graduates who are finishing drafting their presentation and other Finance Professionals who wants to share and gain more information by attending the forum. It ended productively as other participants discussed and asked for counseling from the facilitators. RFP congratulates all of the presenters of this forum for a job well done!